PLANETARY AS SHARED BY MELERIESSEE ~ This last month in 2013 is going to prove to be the lightning being shown by many levels of creation. We have gone through so many planetary accelerations through this year that the changes each of us is going through is representative of the changes it has brought into our lives. We are now in the midst of the Comet Ison spinning its essence through the hemisphere into the Sun approximately on November 28th, 2013 and then hopefully, it will survive and move into the Earth’s skies. What does this mean for us? It all started with the Portal of Light with Uranus Pluto Square that allowed for the integration of the Galactic forces of light merging into the Solar level and within the planet’s surface. This alignment represents all that we have experienced in 2013 with the changes, the purification that we needed to do, to allow for the intermingling of energies from the 24th dimensional level to spin into the 4th of Earth’s current status. All of this could not be possible without the previous activations that we experienced of each moon cycle, eclipse, with the Solstice and Equinox experiences to be felt by the human race into the core of GAIA. We are definitely experiencing energies that have never been before accepted into GAIA’s field, but yet it is happening. As each of us are standing on a new threshold of life within our world, it is important to reflect back through the year to see how far we have come within our own personal enfoldment. The awakened ones are holding this light within their own fields so that others can receive it. The important aspect of these changes is to fully intuit it within our self in all levels of our creation; otherwise, what is happening can be lost as it was in Atlantis and Lemuria. We can stand as the lightworkers saying that because we are awakened and work with the light, that we are the ones that are the torch bears for this light to be held within the planet. This is so very true. But it is important that we go deeper into the core of our being just as GAIA is doing. We must purge and remove the parts that do not exist any longer. Oneness must come from within first and then it can be shared with others. Otherwise, we are not achieving the highest goals that are being guided through the essence of God’s Light or the Source of Beingness which we are all a piece of this creation. As we experience the essences of ISON coming into our creation, take time to reflect about your own inner self. What you are experiencing is representative of the many timelines that are igniting because IT IS TIME. Some of them may be unpleasant and that is why we have the Rays of God to assist us, the Spiritual Hierarchy standing by with their higher essence. Each of us experiences Ascension in many different ways. It is the process of de-ascending our highest aspects into the physical creation we call the human body. With that pathway it takes great diligence and courage to move through the adversities we have dealt with in many other timelines and possibly have lost. We learn to access our inner knowledge, our wisdom, our truth, and allowing it to come into us with the balance and harmony of God’s Light. Without all these aspects coming into alignment we will not be able to achieve what has been asked of us before our embodiment. It is essential that we fully embody these frequencies of light through our full body system. This means we must clear the debris in the Etheric body that is igniting out of us; to remember our humble beginnings and allow the emotional feelings and mental thoughts to be put into balance. 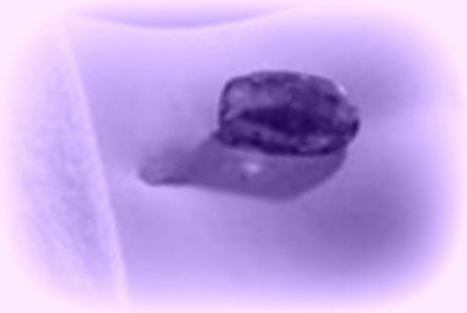 This will allow for the healing of the physical body so that the “ascension symptoms” are not so severe. This is why we have so many issues happening within our physical body as everything needs to be purged through this process. You have chosen the hardest pathway of light called Mastery. Some bypass it as it is much too difficult, and some think they can get what they need without it. This is called the Dark Side. We are still in duality but it is getting better. The dark forces do not want us to win but we are on the winning side. Every moment that we have a lower thought, a judgment, or find ourselves moving into a lower cycle that is giving the dark side what they want. It is all part of their plan to make us fall down on our knees and say we cannot do it. Yet, that is not the plan of the Creative Source or the Unified Whole. They are now uniting with every higher being of light for a reason; to assist each of us on the earth especially the ones that have already awakened. We need their help and cannot achieve our goals without them. This pathway takes great diligence and hard work; it is not easy to continually look at yourself every moment to reflect “is this the way I want to feel”, but it is imperative within the higher consciousness. We cannot just say “we are our Higher Self” without doing the work. The lower ego can stay intact for a long time even with higher initiations up to the 7th but you cannot go further without moments of being REAL with Your Self. As we are being affected by the Comet ISON, these thoughts are being projected to me to share. We are a very powerful group of beings that have been placed upon this Earth; we have tried before and we failed. It is imperative to fully accept the fact that we don’t know all the answers as the true statement of a Master is, “I do not know where I am going or what I am doing, but with God’s Light my pathway shines bright through my Higher Essence showing me the way”. Take time for this amazing entryway of light to help you to expand more into your Higher Self, Your Monad, and your I AM Presence. We are not just the physical body and we must re-mind ourselves of this fact every day. It will help you to move further as you become the Multi-Dimensional Being upon the New Earth. We are within a deep state of healing; now is the time to fully allow the transformation to take place, step by step. It is our Divine Pleasure to connect with you energetically in this moment. PEACE is what we want upon this Earth, is it not? Yes, we think this is a big topic of conversation. In order to have a peaceful outcome humanity must accept this within themselves on an individual basis. The orders of light are assisting Planet Earth extensively at this time to make necessary changes upon the planet. Let’s face it, this planet has been under great scrutiny for quite some time. There are so many star seeds upon the planet that this was their best course of action to effect the changes upon the Earth. But yet, many of you have been waylaid from your most important directive which is to effect the planet with the light frequencies of other Christed galactic star systems so that there could be a merging of worlds so to speak with the Highest Order of Creation. Yes, we know this is what you feel is your role upon the Earth but yet you forgot a very important aspect. That in order to effect the change that would be necessary you would need to make necessary changes in your own structure through the four-body system as elements would arise out of your called remembrances of past timelines. This is the most important aspect that needs to be considered as without it, you will destruct into a world that you did not want to enter. Many young individuals are going through this process in these moments. Despair comes within their consciousness as their gifts are powerful but yet there can be a lack of respect of what this planet means to the overall soul enhancement. You see, Earth is a special place. It is one that has great duality and each soul that chooses to be here knows this before their embodiment but due to the veil of forgetfulness, these elements have been lost deep into the super conscious and not being able to remember. This is why you have to go through the changes within your psychological systems to alleviate the old elements that have plagued you and meet up within individuals that are going to challenge your very existence of life upon the planet. Addictions have resulted and they need to be taken care of in order to perceive life upon Earth as one of a beautiful existence. It is all part of the Divine Plan in the re-creation of GAIA into Terra Christa. The old must be removed before the new can be accepted. 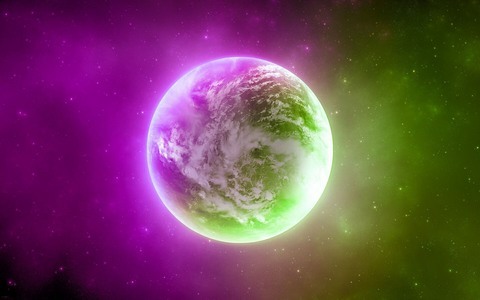 In place upon this planet is the duality, the darkness, the matrix which is also part of life within Earth. The old Earth that is. That is being changed presently due to the many fractals of light that are being implanted within GAIA’s core. The lightworkers before this century knew all of these elements of how to make the necessary changes but yet they were coerced also. We moved into the New Millennium and that was when hope was being given once again. The Ones that were already doing the work would create the structure that was needed for the new beings to come into the planet. But yet, there was still too much duality and the newly awakened humans would still fall into the traps of the darkness that had been placed upon this earth for centuries. In order for the Earth to go back to the magical times of Lemuria and Atlantis much work would have to be done. The Spiritual Hierarchy put in the availability for the pathway of mastery to be for any awakened being upon this planet. So we ask of you, are you one of these awakened beings that is ready to walk in mastery? Are you ready to understand the rules of discipline and be able to achieve it in your lifestyle? We believe that most of you are and some are just waiting for the right moment to appear. But we must work together. So it was decided from the Higher Realms that 2013 would be the year when all of the light forces of the structures of the many universes would converge into Planet Earth. It would be a tormentous time but so rewarding for the ones that would be able to continue the journey as more would appear as time went forward. This has been your year to awaken into more of yourself. You have proven yourself to be very worthy of holding this light within you. This last acceleration will make you go deeper than you could ever imagine. Whatever you have been working with to create the balance within you, will appear within your life. You will be challenged as never before. The dark is not dead yet; they are fighting right within your own battleground so it is imperative to be stronger than you ever thought you would have to be. The process of removing elements that have been blocking your progress is being worked upon but we are not there yet. The Comet ISON is bringing to you all the elements from all levels of existence to come within your world. But you must accept Mastery as your pathway. Without it, you will struggle and have a difficult life. The Will of the Self must come from the Will of God. This also is true for the Love of the Self must come from the Love of God. It is part of you and you must understand that is where you came from. We share this information as there is a splitting of energies presently. Every human being has their Free Will; this is part of the Divine Plan. The other part is to be able to acknowledge that Will as the Light and Love of God, from the 144th dimension of Oneness. You cannot achieve oneness without it; it is part of the internalization of life upon this planet. Many will decide they want their own Will; most will decide they want God’s Will within them. This is true Mastery and will take you on a course that only you can imagine in your physical mind. Elements will align, light will be your guide in each moment and you will not have to think about how to get there, you will just arrive. Our goal in this transmission today is to help individuals understand their own pathway and how it fits into the realization of the New Earth. The New Earth has not arrived as yet but it is on a journey to that end. Duality still exists within individuals, within consciousness of this earth and within the structures of your world. The more that you accept your own ONENESS of your light within your Higher Self, Monad, and I AM presence the more you will help to extend this consciousness into other’s minds and hearts. We need you to understand that the powerful gifts you have will only get more powerful. Great diligence and care from your Heart is absolutely necessary. You are here to be the representatives of the God Force and we hope that you will accept this role within your life. We thank you deeply for your commitment to the light and take time to give our thanks and appreciation to each of you. Accept our blessing internally and you will see a difference in your consciousness and your world through the pathway of ISON representing your own surge of light unto this planet we call GAIA. Our goal is to assist each of you to feel peace within so PEACE can be felt throughout the world upon this magnificent planet. The Unified Whole Command with the Great Divine Director, Master Thoth, and Master Einstein at your service. So Mote It Be; We Are ONE ESSENCE of Light. Lord Great Bear is the Logos of Sirius within the Universal Level (24th dimension through the 35th) that oversees the Christed Intergalactics and work within his essence. Some of planets that he works with are the Arcturus, Pleiades, Andromeda, and Sirian-B. He oversees these planetary systems to stay in alignment with the Divine Guidance of the Cosmic Level. He works directly with the Ashtar Command and Lord Sananda on communication of the Galactic forces within the Universal Structures including the Solar Level of Earth. 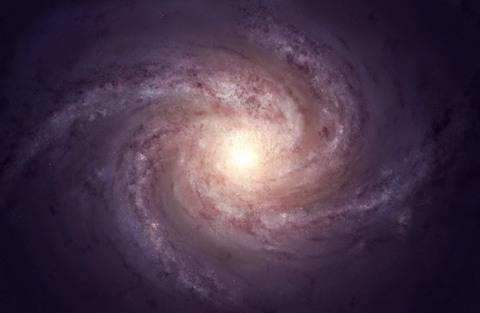 The following message was conveyed from the perspective of the Galactic forces as it represents our alignment with our Star Brothers and Sisters in a more powerful way. As each of the Christed Planets becomes aligned within Oneness of the 144th dimension, they are releasing the old elements that have kept them separate from the Earth’s energies. We look to them for help and many of us feel at HOME with their essence. This is the first part of understanding the changes through Uranus-Pluto Square on November 23, 2013 and continuing with Comet ISON. This means that we are bringing the energies of the Galactic timelines into our present timeline for them to be healed and to help GAIA ascend. It must come from a vibrational rate at first and this is what ISON is presenting to us. We have the power to make this a positive experience but we must work within our own consciousness to release anything that does not serve the higher purpose. This means that there could be havoc upon the planet within certain individuals and geographic areas. 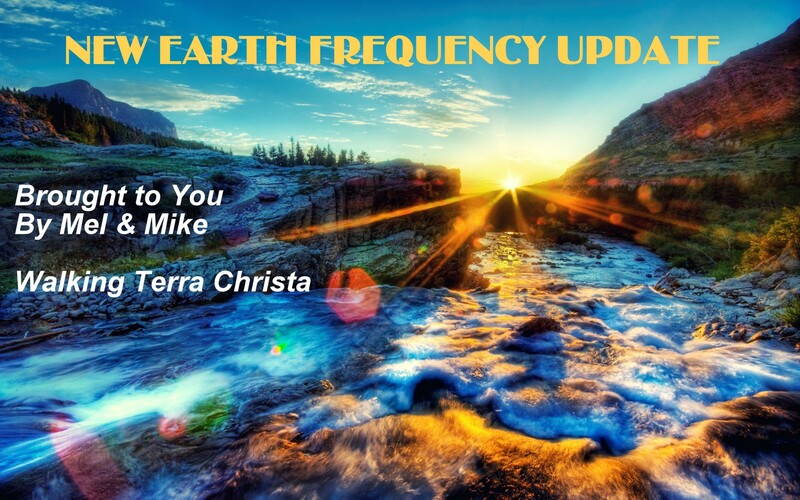 To fine tine what Lord Great Bear has shared with us, Master Einstein with the Unified Whole Command is sharing how we can ground the frequency and help humanity accept the higher light quotient that GAIA is going to be receiving, The Acceleration of Human Consciousness~December 2013 with Master Einstein, http://walkingterrachrista.com/ascension-2/master-einstei…ation-dec-2013/ ‎. Thank you for opening the doorway to our communication. I speak from the Universal and Galactic levels to help individuals to understand the process that they are going through presently. There are couple of elements that are representative of the present energies. First of all is the Portal of Light that is occurring with the Uranus and Pluto Square. Just as earth is evolving the other planets within the solar system are following suit. It is an exciting time. I know many are speaking about these elements, and I want you to be able to share the most precise information to help others in the process of development that is occurring upon the planet and within the hearts of many. Uranus Pluto Square ~ As the frequencies of light within the structures of the many universes and galaxies are aligning with Gaia ascending higher, each of the other planetary systems are aligning with this frequency. This means that on a Galactic level there is a shift occurring amongst the planetary systems to align with these frequencies of light. Each of us in the Universal level (Great Bear Star Systems) is working through the essences of the Cosmic Great Central Sun (49th dimension) through all Central Suns down to the Solar Level of the 11th dimension of frequency. This is a Portal of Light that is occurring in just a few short days to allow for the entryway of advanced molecular structures to come into balance in all planetary systems of the Christed Beings. It is a very powerful time for each of us and not just on the planetary system of Earth. This Portal of Light has been occurring since the movement of the Equinox in September along with the Eclipse energies and the movement of the planetary systems within the structure of the moon cycles. It is being activated through the Uranus-Pluto Square alignment on the 23rd of November. All is coming into alignment at this time. There is great preparation to allow for the frequencies of light from the 35th through 24th dimensional levels (Universal) to intercede through the lower levels into the Galactic dimensions coming from the 23rd through the 11th. These energies are working through all Central Suns of the Cosmic, Multi-Universal, Universal, Galactic, and Solar Level of the 10th dimension to allow for the entryway of these energies to be commanded into the essence of GAIA. The allowance of the gateway of light is bringing forth another powerful event. The Comet ION has been progressing through the earth’s skies and the solar system. This portal is allowing for the comet to pass through the core of the Sun, as RA the Sun God and Helios & Vesta are standing by to allow this frequency of light to be able to pass through the sun and return into your skies. This comet represents many hundreds of years passing through many planetary systems that will bring forth a new balance of creation into GAIA’s essence. With both of these frequencies being inhabited into the Earth’s atmosphere it will allow for the DNA structure to be elevated and accepted. In addition it brings forth the multi-dimensional self from the many timelines associated with the other planetary systems to be awakened within each individual. This is going to help ground the elements from each person’s soul to be woken up which have been sleeping until the Veil of Forgetfulness could be released. This occurred in December 2012 and now is the re-awakening within each individual. The consciousness upon the Earth is now going to be able to hold the frequency of light that should have occurred in December of last year. Most of humanity were not ready to hold this light and feel the full effects of the changes that will take place. This is only the beginning and will set the stage for continued growth in 2014. We are honored as a Galactic species to stand with each of you in our very near future. The power of our light together will create the bond between worlds to unite in Oneness. We are holding our innovative Diamond Heart Essence Training which will cleanse the Advanced Chakra Grid on the 3rd, 4th and 5th levels of dimension on Thursday November 14, 2013 at 5 PM PST. Many are aware of the Hindu system of the 7 chakras that consist of the crown, third eye, throat, heart, solar plexus, sacral, and root. These are energy centers that Western medicine does not recognize as real, much like the mythical meridians in Chinese medicine they can’t seem to locate on their modern equipment. However to much of the non-western world, and to many now within it, these energy vortexes and lines are not only real but the proper functioning and balance of them is considered as essential as breathing. Most healers doing chakra balancing or cleansing typically work on the physical level of the 3rd dimensional body to assist healing. The Diamond Heart Essence uses spiritual Light Diamond technology on the chakras themselves but also for all the joints of the body. Using your own Light Diamonds works on the higher dimensions of the 5th and beyond to actualize those higher frequencies by giving you a new direct pathway to your I AM Presence connecting that essence to your physical body using the etheric body as the bridge. Ascension Mastery Teachings instruct that humans have the capacity to be multi-dimensional beings, much the way they already are well versed at handling different personality roles within themselves, say as a mother, daughter, dancer or business executive. In each role, one typically tends to bring differing aspects of the personality to the forefront sometimes so much so that they could exhibit behaviors and attitudes in one role that never would be seen in another. The ability to step into multi-dimensional states of awareness is similar to the process of learning a new role. If one desires to master a new skill, they must not only learn the information required as knowledge so they understand all the aspects of that skill, they must integrate that knowledge into their physical body. If it is a physical skill they are learning, they must prepare the body to be able to perform the actual motions with fluidity, strenth and precision. To practitioners of 3rd dimensional chakra balancing, spinning the chakras is considered as essential and required as going on a daily runs is for the marathoner. Our Diamond Heart Essence Training gives an individual the skills to easily spin, cleanse, and strengthen the Advanced Chakra Grid in a manner that, once learned and practiced, does not require a meditative state or redoing a healing session with a practitioner. To the person interested in raising their vibration to rid themselves of lower energy blockages and conditions that afflict many individuals, and who also wishes to usher in a New Age of global oneness, working on each chakra to balance it, spin it, and energize it is a required entry level skill of Mastery. This is because the New Age is restricted from manifesting physically in mass consciousness until the collective vibration can accelerate to a tipping point. The New Age is not something that has the ability to evolve from the “old world” way of existing. It can not be born from the 3rd dimension. As Albert Einstein phrased it, new solutions can not come from existing patterns. It must be born of a new vibrational frequency, and that vibrational frequency must first be created and then grounded into Gaia by the human creators that reside on her planet. This is exactly what you are doing by accessing your Light Diamonds. Once installed by the Spiritual Realm of Beloved Masters and Angelic Beings, you can begin to work yourself to create a new you that brings in the energy of your Higher Self and I AM Presence stripping away what no longer serves your pathway. By accessing not just your 3rd or 4th dimensional physical body, but by beginning to develop the 5th dimensional Light Body, the Merkaba, you are creating the New Golden Age here on earth one breath at a time. This process is far beyond what was possible prior to this year due to the new frequencies now being given to us by the Cosmic Great Central Sun and then via the knowledgeable Spiritual Hierarchy guiding the pathway of human evolution from the perspective of service to others in Oneness. If you are interested in taking this training, please prepare for the class by taking a spiritual cleansing bath using bath salts (1/2 to 2 cups), baking powder (1/2 to 2 cups) and apple cider vinegar (1/4 to 1/2 cup), optional along with any sacred oils you have. Taking this bath just prior to class is ideal but anytime that fits your schedule from now until then is recommended. This will prepare your full body system for the class as we will be doing a full meditative chakra balancing during the training. If you have the Unified Whole (De)Ascension Meditation, doing that the morning of or the day of the class will assist greatly. If you have any crystals, please put them in the bath when you take it, and have them with you for the class as they will assist also. Please see our full Diamond Heart Essence Training page for details and enrollment. We are stepping into another world on November 3rd with the Solar Eclipse and New Moon. 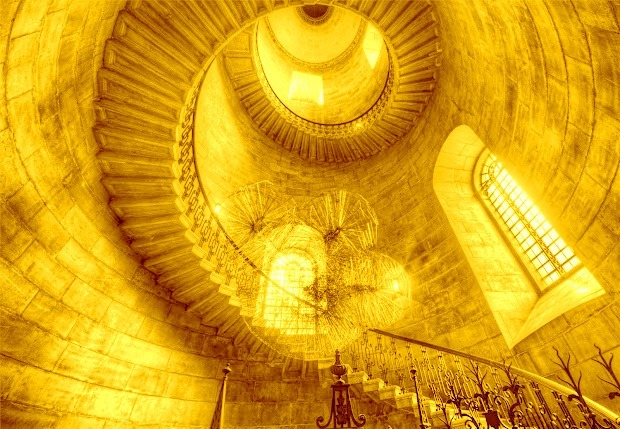 A Portal of Light is being activated through the Great Central Sun into each of us and GAIA to receive a grand opportunity to connect more fully with our Highest Presence either with the HIgher Self, the Monad, or our I AM Presence. The energies that we will be experiencing could cause disruption if we do not release the many elements of old timelines that reflect our darkened past. This energy is helping us to ignite our higher essence within the physical body. It will last during the three-day cycle but then we are able to use the Devotion Ray of the Ruby Red and Gold to be infused within us. This represents Peace, Love, Serenity in our world. So it is a huge beginning of allowing these essences to be implanted upon the planet but it will be up to each of us to keep the forward movement happening. Take time during this period to reflect what you need to purge, and meditate with your Higher Self. It has been shared that there may be many revelations occurring during this time as we access our Divine Knowledge within our physical existences. Walking Terra Christa is holding their weekly meditation and teaching, The Clarion Temple of Oneness, on Monday with Helios and Vesta. We wanted to offer this to as many individuals as possible so it will be an OPEN CALL to be in Oneness with our Soul Family. We meet at 5 PM Pacific, 12 GMT via teleconference which is also accessible through Skype. Details are available on, http://walkingterrachrista.com/tele-calls/. We also have a very special offering this month. NOVEMBER OPEN HOUSE which means for $11 you can access any of our calls (usually around 13-14) for one small fee. We feel this month is so important that we want to share the higher vibration work that we do with others. This includes our Monday, Clarion Temple of Oneness, http://walkingterrachrista.com/classes/clarion-temple/; Wednesday, New Earth Consciousness – Visiting the Etheric Cities with Lord Adama, http://walkingterrachrista.com/classes/golden-cities/ , along with a free Introductory call on our Diamond Heart Essence Teaching which we are starting this month, http://walkingterrachrista.com/classes/diamond-heart-essence-intro/, and the Lord Adama Discourses which is a monthly call with Lord Adama on specific topics that are happening currently (this includes a Q&A with Lord Adama), http://walkingterrachrista.com/classes/lord-adama/. To take advantage of this opportunity, please take a moment to check the link on the Open House, http://walkingterrachrista.com/open-house-month/pass-11/.